UUP Councillor Sonia Copeland has announced on Facebook that she has contacted the PSNI over the EXCLUSIVE story carried by Unionist Voice in relation to the clandestine bonfire meeting which targeted bonfire sites in east Belfast. 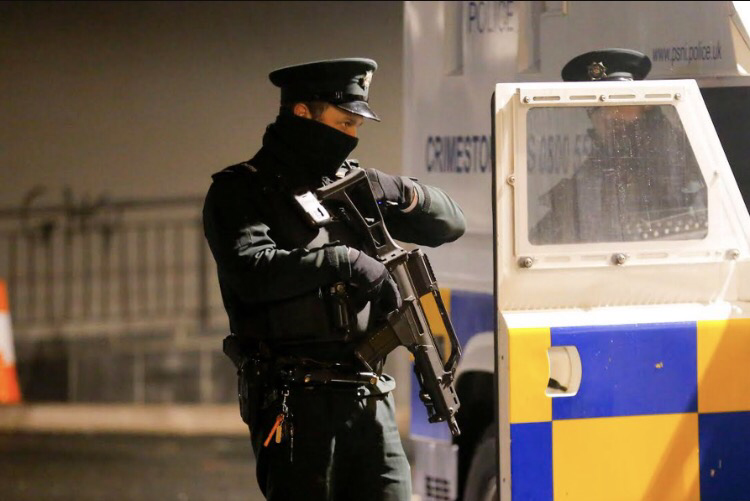 It is believed to be the first time a politician has reported a news article reporting on events within the council to the PSNI. It is unclear what offence Ms Copeland believes has been committed. Matters relating to libel and defamation are dealt with via civil courts and therefore would not result in criminal ‘prosecutions’, contrary to what another UUP Councillor Jim Rodgers appeared to suggest yesterday. Unionist Voice issued an open invitation to any person who was present at the clandestine bonfire meeting to outline their position on the matter, neither Councillor Copeland or Alderman Rodgers took up this invitation. Instead Councillor Copeland has taken to Facebook and published a dismissal of the account provided by Unionist Voice in yesterday’s exclusive story. The UUP member also blamed those with an “agenda” for being behind the story and claimed that she was in “no doubt” who was behind the leak, which she described as “trash”. It is not clear which fellow politician or council officer present at the meeting Councillor Copeland is referring to. Unionist Voice would like to once again provide Councillor Copeland with the opportunity to answer a number of simple questions, the answers to which, in any event, would have to form part of any statement to the PSNI or civil affidavit. 1. Did you support the proposal to take out an injunction against the Walkway bonfire site in east Belfast? 2. After the initial proposal in relation to the Walkway bonfire, did you also support a suggestion to extend the injunction to another 3 sites in east Belfast? 3. Who specifically do you believe was behind the leak in relation to the account published by Unionist Voice in relation to the clandestine bonfire meeting? All those present have remained publicly silent in relation to the content of the secret bonfire meeting, however with the blame game now starting it seems that the confidentiality agreement which has shielded many of those involved appears ever more vulnerable. 61 Responses to "BREAKING: Belfast Councillor reports exclusive Unionist Voice bonfire story to PSNI "
My brother recommended I might like this website. He was entirely right. This put up truly made my day. You cann’t consider simply how much time I had spent for this info! Thank you! I absolutely love your blog and find nearly all of your post’s to be exactly I’m looking for. Do you offer guest writers to write content in your case? I wouldn’t mind writing a post or elaborating on most of the subjects you write regarding here. Again, awesome website! Hello.This article was extremely motivating, especially because I was investigating for thoughts on this subject last Saturday. I’d must check with you here. Which is not something I often do! I get pleasure from studying a publish that may make folks think. Additionally, thanks for permitting me to remark! Youre so cool! I dont suppose Ive learn anything like this before. So good to find anyone with some unique thoughts on this subject. realy thanks for starting this up. this web site is one thing that is wanted on the web, someone with a bit of originality. helpful job for bringing something new to the web! Hey very cool web site!! Man .. Beautiful .. Amazing .. I will bookmark your site and take the feeds also…I am happy to find a lot of useful information here in the post, we need develop more techniques in this regard, thanks for sharing. . . . . .
Hi there very nice site!! Guy .. Excellent .. Superb .. I will bookmark your site and take the feeds additionally…I’m satisfied to search out so many helpful info right here within the post, we need develop extra strategies in this regard, thank you for sharing. . . . . . I intended to send you one little bit of observation to thank you yet again for these amazing advice you’ve shown here. This is unbelievably open-handed with you to deliver freely exactly what most people would have advertised for an e book to make some money on their own, most importantly seeing that you could possibly have tried it if you decided. These inspiring ideas in addition worked to be a great way to be aware that some people have the identical passion similar to my personal own to know a whole lot more on the topic of this matter. I believe there are numerous more enjoyable instances ahead for those who see your site. Excellent blog you have here but I was curious if you knew of any discussion boards that cover the same topics discussed here? I’d really love to be a part of community where I can get advice from other experienced individuals that share the same interest. If you have any suggestions, please let me know. Thanks! I am typically to blogging and i really appreciate your content. The article has actually peaks my interest. I am going to bookmark your web site and keep checking for new information. hi!,I really like your writing so so much! percentage we communicate more about your article on AOL? I need a specialist on this space to unravel my problem. Maybe that is you! Taking a look ahead to look you. We absolutely love your blog and find most of your post’s to be just what I’m looking for. can you offer guest writers to write content for you? I wouldn’t mind publishing a post or elaborating on a lot of the subjects you write related to here. Again, awesome site! It is appropriate time to make a few plans for the future and it’s time to be happy. I’ve learn this publish and if I may I want to suggest you some attention-grabbing things or suggestions. Perhaps you could write next articles relating to this article. I want to learn even more things about it! My brother suggested I might like this web site. He used to be entirely right. This put up actually made my day. You cann’t imagine just how so much time I had spent for this information! Thanks! Excellent post. I used to be checking constantly this blog and I am inspired! Extremely helpful info particularly the remaining section 🙂 I handle such information much. I used to be looking for this certain info for a long time. Thanks and good luck.